Day 4 of the Classic Mac OS Challenge went very smooth. The new hard drive is performing as expected and the iMac is finally behaving as it should. I spent most of my time working on my website and might even make this my default web work rig! Wow does Dreamweaver MX run smooth!! Dreamweaver MX is not the bloatware that today’s Dreamweaver is and you can tell by how fast it runs, pulling up massive pages in a split second. Photoshop 7 also runs very well but in certain tasks I am really missing the extra RAM. Hopefully that’s something I can sort out next week. 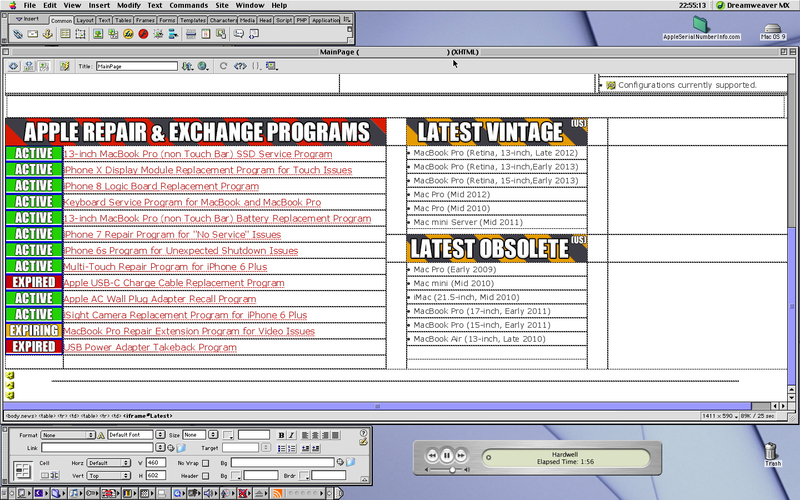 Unfortunately I have not found a good application that can let me work in the databases for OS 9. 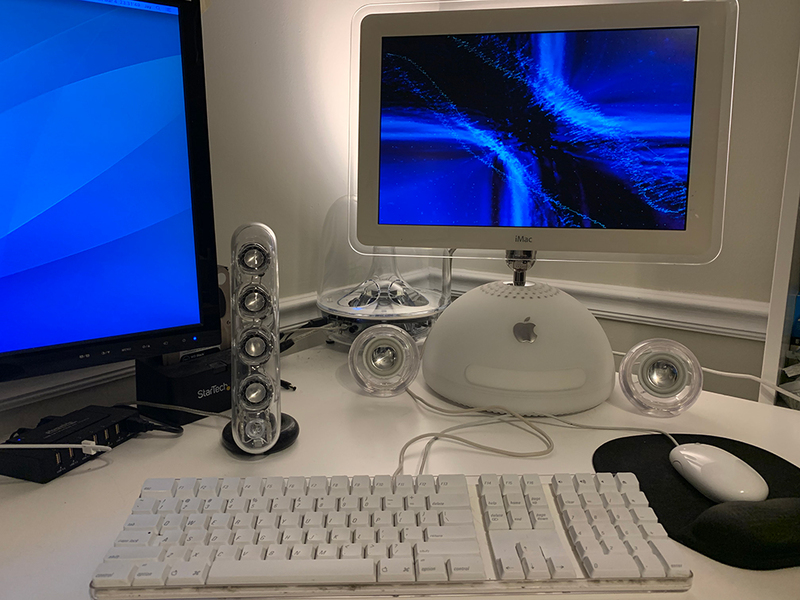 On the Mac Pro I use Sequel Pro which is an amazing app that I’ve been using for a long time but nothing like that exists (to my knowledge) for OS 9. I did what I could through the web interface but still had to switch to my Mac Pro occasionally. After all the web work was done, I tuned in to a radio station from internet-radio.com and just let the iMac run it’s iTunes visualizer for hours. The audio from the Pro Speakers is amazing, I tried to crank the volume but was forced to stop at about 70% as it hurt my ears! Even at that volume the Pro Speakers provided clean, crisp audio (even a decent bass) without distortion. I’m very impressed with these little orbs for sure. Testing Unreal Tournament ’99 didn’t happen but found that in local testing it ran better than before. I’ll connect to the PPCGL server again tomorrow to test further.